The both of us have really found ourselves in cycling together over the past six months. I’ve sat on the saddle for the better part of thirty months so far, started out of curiosity and fell in love with the lifestyle. When Belén joined me this only became better. As we cycled the far and wild stretches of Norway, camped out in the cold, wet but oh so rewarding beauty of nature we only got a feeling for more. 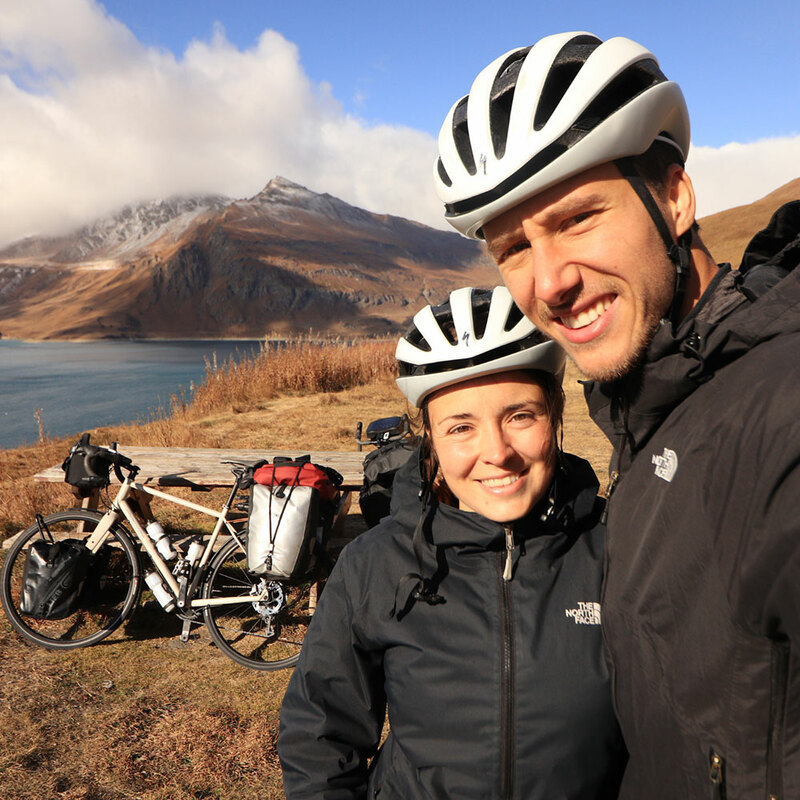 We’re starting out 2018 by continuing to cycle through western Europe’s pretty parts, but hope to make it somewhere else in the world by the middle of it. This bicycle tour is a personal project that grew from a hobby to something much bigger and is still growing ever since. For the longest time I’ve asked myself the notorious question that we’re all asking ourselves at some point in our lives. What do I really want to do with my time – what kind of difference do I want to make in the world? I think cycling is the right answer, since it also answers some of our society’s biggest concerns. It does not pollute, it motivates people’s kindness and trust, it shows an alternative to the normality of consuming and living in general, not mentioning the major physical and mental health benefits. I think and hope those motivations help people decide for themselves. It’s been an interesting few years of discovering this passion of mine, while working with people that believe and strive in the same thing or perception. What started with a boy on his bicycle cycling down the road of the world really transformed into the best thing that road has to offer us all: a choice to do better.